Paul G. Willson is a fourth-generation community banker who blends a passion for political advocacy with a balanced and rational approach to public policy. He’s also a restless and intellectually curious life-long learner, an avid reader of books with an appreciation for history and a retired Air Force lieutenant colonel. These are strong attributes for the current chairman of ABA’s Government Relations Council, a position which, for Willson, also includes a return engagement on the ABA Board of Directors. Willson is the chairman of Citizens National Bank, a closely held Subchapter S bank in Athens, Tenn. Founded in 1908, the institution has grown organically to $540 million in assets through 10 offices and 140 employees serving the area of the Great Valley of the Tennessee River between Knoxville and Chattanooga. The bank’s main focus is commercial lending, including hospitality lending as well as making loans for the development of industrial sites and to support manufacturers. This has provided the bank with deep and broad demand deposit account relationships. “We’re big enough to service these accounts,” says Willson. The bank also provides wealth management services and has $220 million in funds under management. Willson worked at Citizens National Bank as a teller and bookkeeper as a teen (his father, Hugh M. Willson, ran the bank at the time). 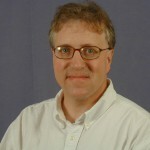 He returned to Citizens National in 1983, after college (undergrad and grad at the University of Tennessee), service with the U.S. Air Force and a four-year stint with Commerce Union Bank in Nashville and Chattanooga. Like his father, Willson in 2006–2007 served as Tennessee Bankers Association chairman. Both father and son also served on ABA’s board. The similarities in their industry volunteer service don’t stop there. Hugh Willson was the first person named to TBA’s Leaders in Banking Excellence, which recognizes and celebrates exceptional bankers throughout Tennessee’s history. Paul Willson joined the ranks of the state’s Leaders in Banking Excellence in August 2015. He has taught for many years as part of the Cleveland State Community College faculty, the Southeastern School of Banking at Vanderbilt and, more recently, at the Graduate School of Banking at Louisiana State University. 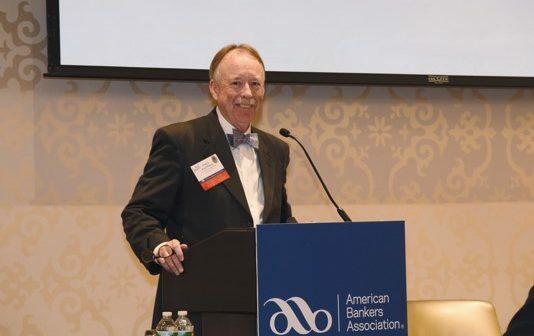 From his perspective as chairman of ABA’s Government Relations Council, Willson says the legislative process needs to become more thoughtful, with a focus on solving problems and meeting challenges while they are ongoing or before they occur. He also sees a need for better matching of intentions and outcomes. Meanwhile, he adds, nonbank providers of financial services are “circling us” and creating more systemic risk. “That, to me, doesn’t seem rational,” he says. The banking industry also needs to become more sophisticated in terms of advocacy, he says. That includes making sure that the banking industry has allies—people and groups who share similar policy goals and outcomes—to help continue to press for needed change and improvements. Willson says he has learned valuable lessons throughout his years in both banking and the military. From his father, he says, he learned that “you make your bank during bad times.” During downturns, a bank can be a critical pillar of support for businesses and clients. Yet today, a bank’s ability to nimbly respond to tough economic conditions and work with its customers is limited by prescriptive regulation. That needs to change, Willson says. From his military service, Willson learned “the concept of balance and pace.” “You have to know when to rest and when to move forward,” he says. He retired in 2001 from the Tennessee Air National Guard after almost 30 years of service, including serving as commander of the 134th Logistics Squadron at McGhee Tyson Air National Guard Base in Knoxville. At Citizens National Bank, Willson encourages his colleagues to engage in advocacy by leading by example and seeking their help and support when the time is right. “The straightforward ask works,” he says. From a broader perspective, the banking industry benefits from strong banker engagement. The challenge is “to tell our story effectively and squeeze it into the attention span of lawmakers and policymakers.” Willson witnessed a great example of engagement during the Government Relations Council meeting in December. The meeting was running late into the afternoon, yet the council participants showed no hesitation about keeping the discussions going. “That’s an exciting thing: the commitment and engagement of bankers,” he says.